We the Supreme Council of the 33° of the Ancient and Accepted Scottish Rite of Freemasonry in Australia hope that you will find in this site a place where you can extend your Masonic knowledge and a place where the teachings of love, peace and harmony abound. The Ancient and Accepted Scottish Rite elaborates and enhances the basic tenets of Freemasonry. It broadens your fraternal participation and involvement. Increases your understanding of Craft Degrees. Provides you the opportunity for advancement to the 33rd Degree. The highest and last in Freemasonry. As meetings are usually held less than 6 times per year the commitment is not onerous. The Grand Constitutions of 1786 provide for a procedure whereby a Supreme Council in one country can establish a Supreme Council in another country where a Supreme Council does not already exist. Under this procedure Supreme Councils are legitimately established. A Patent to establish the Supreme Council 33° for England and Wales was sought from the Northern Masonic Jurisdiction USA and was granted in 1845. The Supreme Council 33° for Scotland was erected by Sovereign Grand Inspector General Morison in 1846. Much of this information has come from the writings of V\Ill\Bro AC Jackson 33°, various publications and correspondence from V\Ill\Bro Sydney R Baxter 33°of the N.M.J. USA and from papers and conversations resulting from overseas trips to the Sovereign Grand Commanders’ Conference. 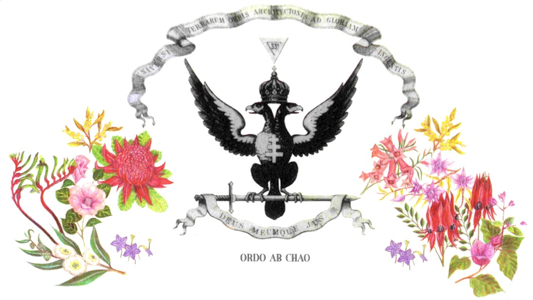 We, the Supreme Council 33° of the Ancient and Accepted Scottish Rite for Australia hope that you will find in this site a place where you can extend your Masonic knowledge and a place where the teachings of love, peace and harmony abound.